Have a Broadway Baby? 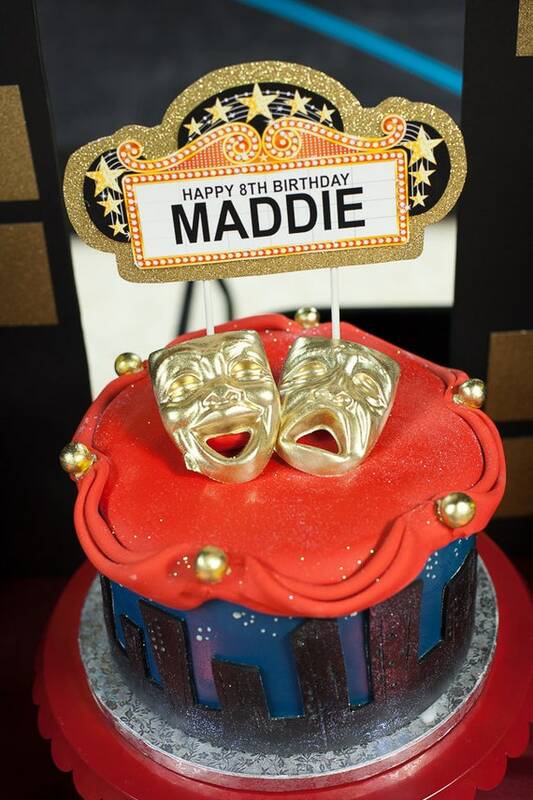 Celebrate their birthday in a big way with a printable birthday Broadway marquee for on top of their birthday cake. Light up their name in Broadway Birthday cake topper lights! This pdf file is formatted to print on any color printer onto white cardstock. For added sparkle, mount to a pieces of gold glitter card stock and cut around the marquee. You'll need to provide a few bamboo skewers or thin dowel rods to glue to the back of the cut-out. PLEASE LEAVE THE BROADWAY BIRTHDAY PERSON'S NAME AND AGE IN THE CHECK OUT NOTES to ensure speedy delivery! **This does NOT include the gold masks. Those were molded from white chocolate by the cake decorator.